The message of The Big Leap, by Gay Hendricks, ties into the DREAM-to-DO message Kent shares on this podcast. That’s why we have created this short series of podcast episodes to dive more deeply into the content of the book and to talk about how each of us can take “The Big Leap” in our lives, relationships, and careers. We kicked off the Big Leap Series in Episode 096 by defining the Upper Limit Problem and how it works. In Episode 097, we examine the flawed foundation of the Upper Limit Problem. In this episode, Kent talks about how to spot and dissolve Upper Limit Behavior in our daily lives. 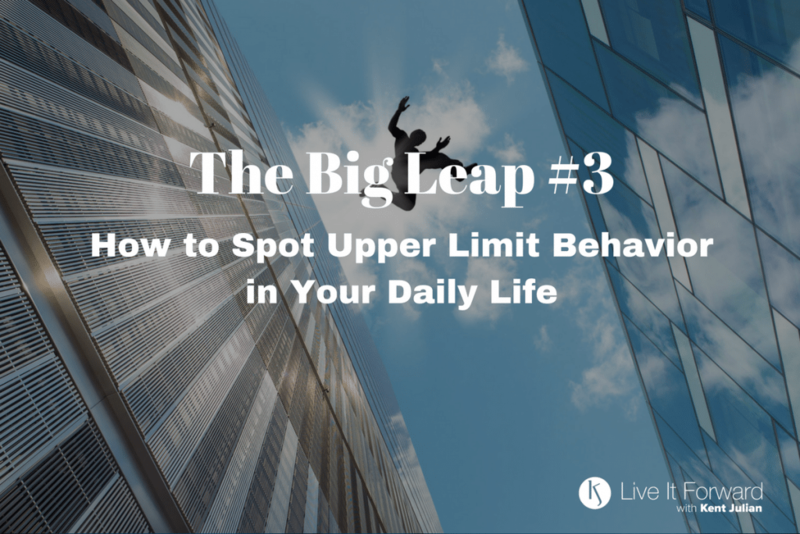 You can position yourself to take the Big Leap in your life and work by learning how to spot Upper Limit Behaviors in your daily life. 2) How to spot Upper Limit Behavior in your daily life.